The promontory of Sestri Levante – Punta Manara provides a network of easy and well marked trails along which you enjoy wonderful views of the forests of oaks, century-old specimens of cork trees, scrubland and cultivated areas. The end of the walking distance of the promontory is called the Telegraph (located at about 180 m above the sea), a former lookout point and center of the optical telegraph. From here, on a clear day, the view stretches from the Tuscan archipelago to France. Punta Baffe also allows you to follow extremely scenic and rich paths in historical and natural interest, in which the eye can range from the valley of Sestri to the one of Val Petronio, up to the area of ​​sea that embraces the entire Gulf of Tigullio. In 2004, the headland was devastated by a fire whose effects you can still see . However, some areas were spared while in others the Mediterranean vegetation is recovering the ground. The most well-known path of the route starts from the cemetery of Riva Trigoso and leads to the tower that was , such as the one of Punta Manara, part of a network of sighting against the pirates. Another trail starts from the resort Manierta Riva Trigoso in front of the rail station of Riva Trigoso and crosses at Colle del Lago the path that connects the sighting tower at Mount Moneglia. 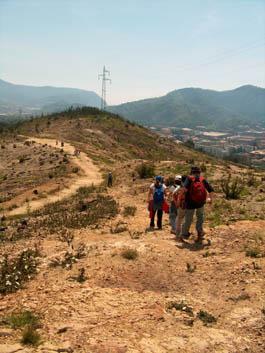 The paths starting at Riva allow to reach the town of Casarza Ligure, through wooded areas not affected by the fire, or to continue to Moneglia, with the possibility to choose between routes at different heights. The views range from the valley of Sestri to the one of Val Petronio, in the vast spaces of the sea, covering the entire Gulf of Tigullio, and on clear days the view is even larger. 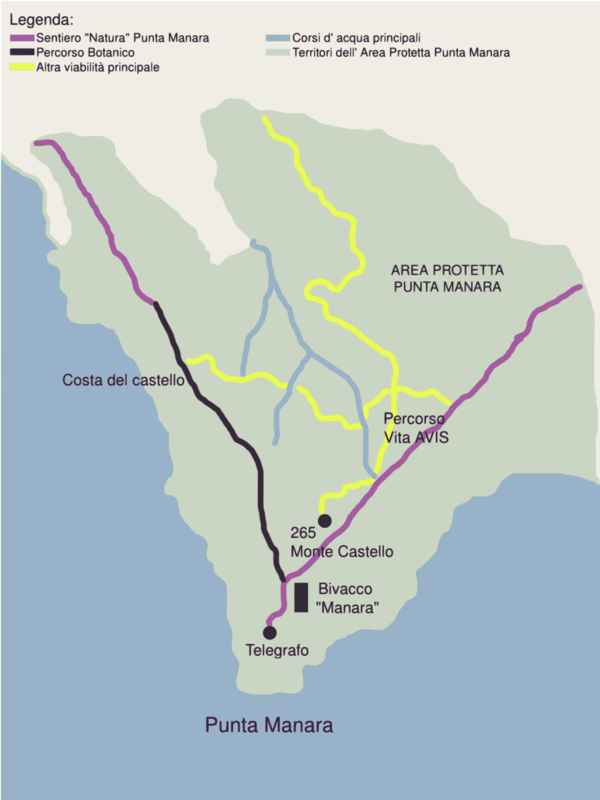 Sant’Anna is located at the end of Sestri Levante, to Cavi di Lavagna. The path is what has remained of the road linking the two countries before the current road construction. The village is especially known for the five ancient bridges which exceed the small water courses crossing the area. Unfortunately, this hill as well has been affected by two fires changing the environment, before formed of pinewood and maritime pine trees and now characterized by Mediterranean scrub. After the first section of the trail you reach the ruins of the church of Sant ‘Anna: from here you admire a beautiful view of the two bays of Sestri Levante and the Gulf of Tigullio to Portofino.